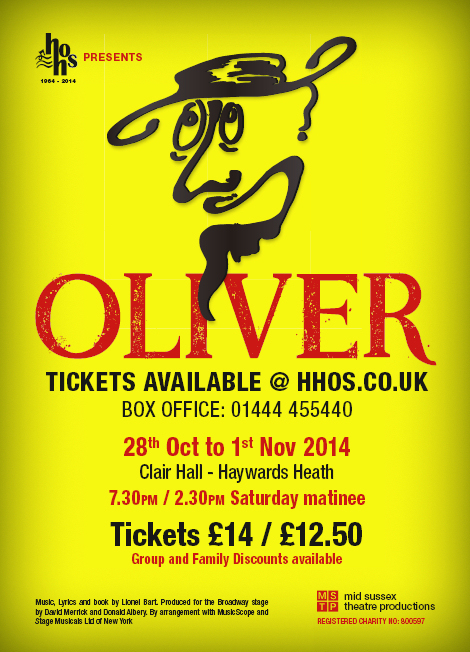 In their 50th anniversary year, HHOS are proud to present Lionel Bart’s all-time favourite musical Oliver! Based on the novel by Charles Dickens, this timeless musical plots the misfortunes and rags-to-riches story of the young orphan Oliver on the seedy streets of Victorian London. With a brilliantly talented team of young children and adults from the Mid Sussex area this production promises to have you on your feet asking for more. Make sure you pick up a ticket or two now at www.hhos.co.uk or Clair Hall Box Office 01444 455440.